John Steptoe was born in Brooklyn. From early childhood, he drew pictures and told stories with them. He started work on Stevie, his first picture book, when he was sixteen, and Stevie was published three years later to outstanding critical acclaim. Since then, he has written and illustrated many successful books for children. John Lewis Steptoe, creator of award-winning picture books for children, was born in Brooklyn on September 14, 1950 and was raised in the Bedford-Stuyvesant section of that borough. He began drawing as a young child and received his formal art training at the High School of Art and Design in Manhattan. He was a student in the HARYOU-ACT Art Program and instructed by the highly recognized African American oil painter, Norman Lewis. He also studied at the Vermont Academy, where he was instructed by the sculptor, John Torres, and William Majors, a painter acclaimed by the Museum of Modem Art for his etchings and print-making. His work first came to national attention in 1969 when his first book, Stevie, appeared in its entirety in Life magazine, hailed as "a new kind of book for black children." Mr. Steptoe, who had begun work on Stevie at the age of 16, was then 18 years old. In his 20-year career, Mr. Steptoe illustrated 15 more picture books, ten of which he also wrote. The American Library Association named two of his books Caldecott Honor Books, a prestigious award for children's book illustration: The Story of Jumping Mouse in 1985 and Mufaro's Beautiful Daughters in 1988. Mr. Steptoe twice received the Coretta Scott King Award for Illustration, for Mother Crocodile (text by Rosa Guy) in 1982, and for Mufaro's Beautiful Daughters. 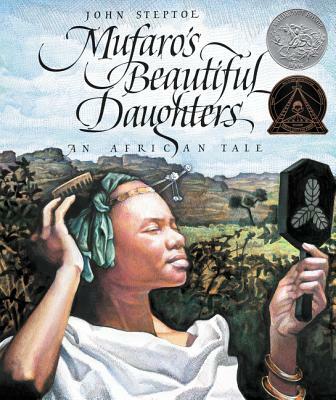 While all of Mr. Steptoe's work deals with aspects of the African American experience, Mufaro's Beautiful Daughters was acknowledged by reviewers and critics as a breakthrough. Based on an African tale recorded in the 19th century, it required Mr. Steptoe for the first time to research African history and culture, awakening his pride in his African ancestry. Mr. Steptoe hoped that his books would lead children, especially African American children, to feel pride in their origins and in who they are. "I am not an exception to the rule among my race of people," he said, accepting the Boston Globe/Horn Book Award for Illustration, "I am the rule. By that I mean there are a great many others like me where I come from." Mr. Steptoe frequently spoke to audiences of children and adults about his work. He was the 1989 winner of the Milner Award, voted by Atlanta schoolchildren for their favorite author. John Steptoe died on August 28, 1989 at Saint Luke's Hospital in Manhattan, following a long illness. He was 38 years old and lived in Brooklyn. Mr. Steptoe was among the small handful of African American artists who have made a career in children's books.